For the first time all season, the Phillies' offense fell silent on Saturday at Citizens Bank Park. The club was held to a season-low two runs in a 6-2 loss to the Minnesota Twins. Trailing by a run in the eighth, the Phillies had a bases-loaded opportunity but failed to capitalize with Cesar Hernandez hitting into a groundout to end the threat. Seranthony Dominguez surrendered a three-run blast in the top of the ninth to Eddie Rosario allowing the Twins to pull away. He's now allowed runs in two of his three appearances this season. 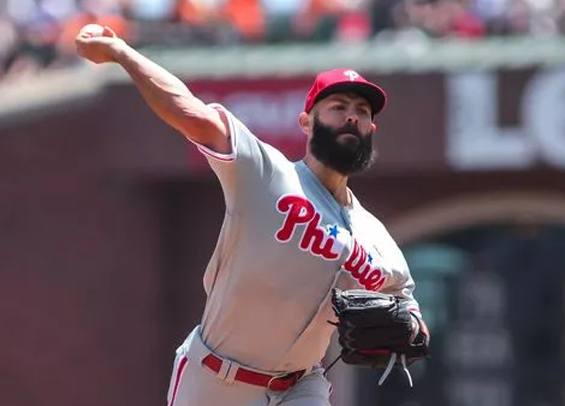 Jake Arrieta pieced together a solid start for the Phils, going seven innings while surrendering three runs on five hits. He walked three and struck out one. The Phillies and Twins conclude their three-game set on Sunday afternoon. Zach Eflin is set to face Jose Berrios.